Often, we focus our awareness where we aren't or when we aren't. Whether we're in a heated meeting, or blowing out the candles of a birthday cake, being fully present can make our experiences more positive and memorable. Why are we so often someplace else? When we are, how can we come back? Or better, how can we stay fully present when we want to? Scanning his inbox, Jeff noticed a message about the afternoon meeting. He began reading, but his sister's voice intruded, startling him. "Jeff, are you there? Jeff?" He'd done it again. Reading his email while talking to his sister on the phone, he'd lost track of their conversation, and he'd been sucked into his computer. "Yes, I'm here," he said, "What were you saying?" "Jeff. I don't appreciate that. Call me back when you have time to talk." Click. Jeff hung up the phone, feeling deep regret. He'd just spent almost ten minutes talking with his sister, and he could only vaguely recall what they'd talked about. Trying to divide his attention, he had failed, hurting both his sister and himself. But even when we don't hurt anyone else, when we divide our attention we cheapen our experience of life. And sometimes we're not even aware we're doing it. 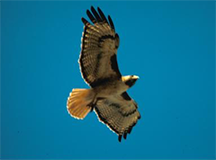 When walking outdoors, we often focus on the near and familiar, and never notice the distant beauty of a hawk wheeling right above us. At home, sorting the junk mail and the bills, we smile distractedly at a child — maybe our own child — who's just presented us with a work of crayon art. And these are relatively harmless examples. Sometimes it hurts much more. choosing to do soWe all know how to focus on right here, right now. Recall the time you scored the winning point in a game — or the time you didn't. Or think of the moment of your marriage (or divorce), or the first sight or sound of your own child. You remember these moments with clarity, because you were fully present. Although we know how to appreciate the moment, many of us are less skilled at choosing to do so. Fortunately, we can learn. Here are some tips for appreciating the moment. To put a distraction aside, first acknowledge it. Is it a worry? A fear? A pain? Promise yourself to attend to it later, at a particular time. Do whatever you must do to put it aside temporarily. Whatever the moment, you're in it. Appreciating the moment begins with appreciating yourself. And appreciating yourself begins with your own breathing. Notice your body. Starting with your feet (your foundation) relax it all, working upwards. Finish with your mind. Choose what to listen to. Tune in to what you want to be with right now. A child's giggle. A loved one's voice. Choose what to look at. Focus on what you want to keep as the visual memory of this moment, a treasure to remember always. Would you like to see your comments posted here? rbrenMvgKatVihBgxBLtHner@ChacnyZiSBeqPEjHIuyIoCanyon.comSend me your comments by email, or by Web form. Nearly everyone complains that email is a time waster. Yet much of the problem results from our own actions. Here's Part II of a little catalog of things we do that help waste our time. Finding work in tough times entails presenting yourself to many people. You'll be conversing, interviewing, writing, presenting, and when you're finally successful, negotiating. Many of us let others set our learning agendas — peers, employers, or the mass media. But you can gain much both personally and professionally by setting your own learning agenda. The judgments we make at work, like the judgments we make elsewhere in life, are subject to human fallibility in the form of cognitive biases. One of these is the Focusing Illusion. Here are some examples to watch for. See also Personal, Team, and Organizational Effectiveness for more related articles. I offer email and telephone coaching at both corporate and individual rates. Contact Rick for details at rbrenKbcCtyafsHdRDjlLner@ChacoAuMNpnuPDpouCoboCanyon.com or (650) 787-6475, or toll-free in the continental US at (866) 378-5470.